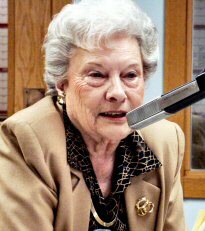 Mabel Louise from 5 years ago this week as heard Thursday morning on wwib at 11:15. 53 years ago Carroll Dale helped the Green Bay Packers win the first ever Superbowl over the Kansas City Chiefs at the L.A. Coliseum 35-10. Now at age 80 the speedy wideout is still active and living life to the max at his home in Wise Virginia. Carroll joins Greg on Sports and Commentary to talk about how far the Superbowl has come in almost half a century, his memories of the "ice bowl" and how his faith in Jesus is the center of his life. Part 2 of a series.